Palomar StarLux Photofacial technology uses high intensity pulsed light as a non-invasive approach to removing skin imperfections and achieving healthy skin. Palomar StarLux is the world’s most advanced pulsed light system. 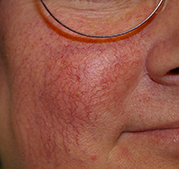 Its revolutionary long-pulse, high-energy technology targets pigmented and vascular lesions with precision and power. As a result, patients see a noticeable improvement with fewer treatments and improved results right after the first treatment. 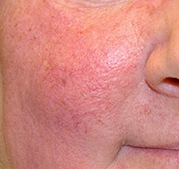 Our advanced, medical grade Photo Rejuvenation treatments offer an effective, safe and long-term solution to hyper-pigmentation (sun or age spots) and vascular lesions. Many of our patients notice a significant improvement in their condition after 1-3 treatments. However, in more severe cases, patients require 4-6 treatments for optimum results. Case 1.Results may vary from patient to patient. Case 4. Results may vary from patient to patient.